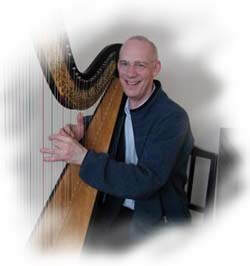 The Vibroacoustic Harp Therapy Training Course® was introduced in 2006 by Sarajane Williams, to train harpists to provide VAHT®, and to train administrators/medical supervisors to supervise VAHT practitioners. Prior to 2015, 3-day weekend VAHT Training Courses were offered in Macungie, PA. Now, the VAHT Home Study Training Course is available for purchase here, followed by a 1- or 2-day supervised practicum with a designated VAHT Trainer. Salt Lake City, Utah. Upon completing studies with Ms. Williams, Ian became a certified VAHT practitioner. America to offer VAHT to its patients. coming to Canada, she completed her nursing studies in England and worked in the field both in England and France. she began searching for alternative healing modalities, a quest which led her to study naturopathy and homeopathy. the IHTP and has a private practice with offices in Moncton and in Shediac, NB. theatre/drama groups. 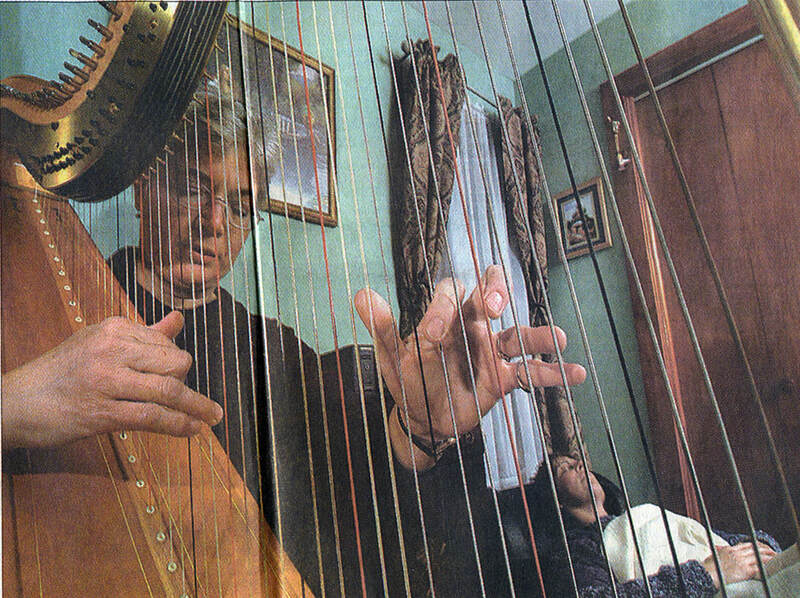 Since 2010, her passion has been therapeutic bedside music and Vibroacoustic Harp Therapy. 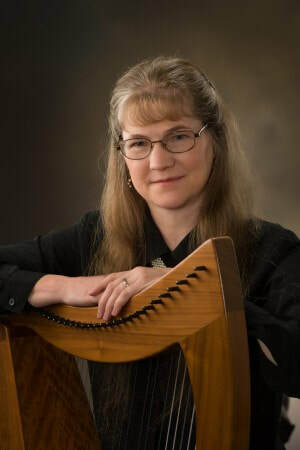 The Vibroacoustic Harp Therapy Training Course practice in northcentral Montana, where she also serves the community of Havre, Montana through music lessons, church music, and accompanying various choirs utilizing the piano, organ, or harp. She studied energy medicine through the Healing Touch Spiritual Ministry Program. and is a board member of the National Standards Board for Therapeutic Musicians (NSBTM.org). eight harp CDs, and is a signed recording artist with Sounds True. She also has over 40 years of experience in various roles in the healing arts including: nurse, cardiopulmonary technologist, director of a cardiac catheterization laboratory and biofeedback therapist in a chronic pain center. 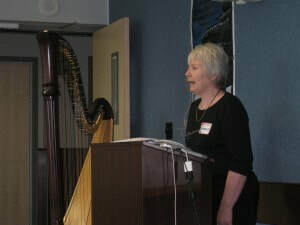 Williams is was a founding board member of the National Standards Board for Therapeutic Musicians. addition, Sarajane also serves as president of the Lower Macungie Township Historical Society.